Wrapped in shame or glory? Glory without shame is hubris for we must sacrifice something or someone along the way. A thoughtful poem, what a poem should be. I am human. My answer is both! So much power in such few words. Short and sweet poem. I really like it. It’s short, but it’s also very thought-provoking. I really like this one. Great message. Thanks. A good question to ask one’s self. Hm hm ^-^ reminded me of that song by Coldplay. 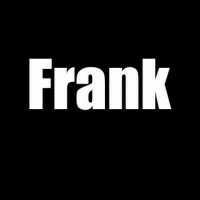 Nice one Frank!